Creative Imaginations and Faber-Castell Design Memory Craft designers have teamed up for a fabulous blog hop from August 27-31st! Hop with us today for craft ideas, inspiration and tutorials! Don’t forget to leave a comment on each blog for a chance to win! Creative Imaginations and Faber-Castell Design Memory Craft will each be giving away a $50 prize pack! The blog hop will end at midnight on August 31st. The two winners will be announced on the companies’ blogs on September 4th. Ready to be inspired? I colored this canvas with Aquarelle Watercolor Pencils (blue) then spritzed with water and blended the colors with my fingers. I used the Stamper's Big Brush from the Mix & Match Mixed Media Sampler to color a script stamp and stamped on the background. After heat embossing the white circles, I used the Neutral Gelato to add another layer of color to the canvas (I blended with my fingers). 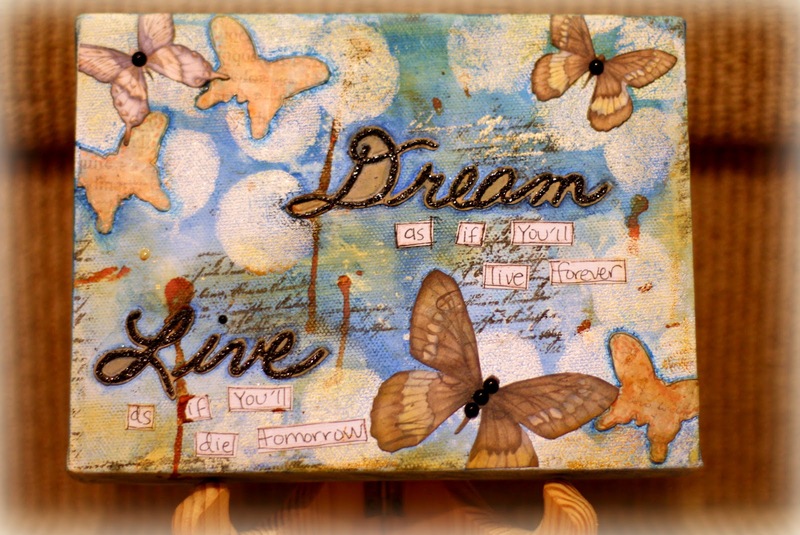 I traced the large words and butterflies (adhered to the canvas using Gel medium) with blue water colors and used a wet paint brush to blend into the background. I used Mix & Match Art Grip Color Pencils to add definition to the journaling. As a finishing touch, I painted the smaller butterflies with Egyptian Gold Luminarte Radiant Rain Shimmering Mist and flicked Autumn Leaf Luminarte Radiant Rain Shimmering Mist onto the background. Next stop is Rita's blog. Below is a list of the order of the hop. Hey there blog readers. 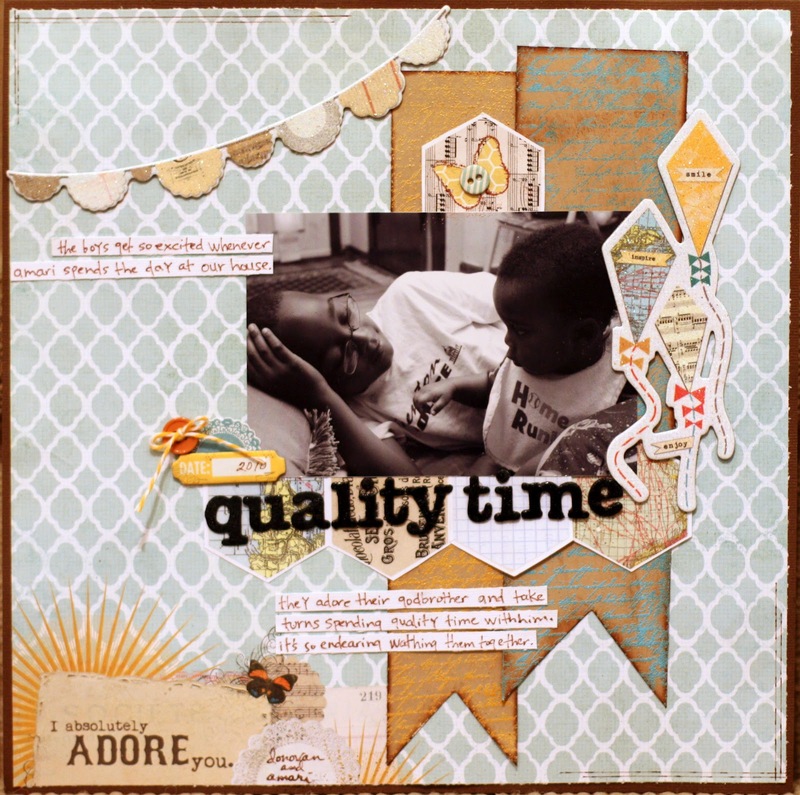 Today, I'm sharring layout featuring some of my favorite WOW! powders and WOW's Call Me Stamp set. I used an embossing pen to outline the butterfly seen here and then used Earth tone Paprika to highlight the outline. 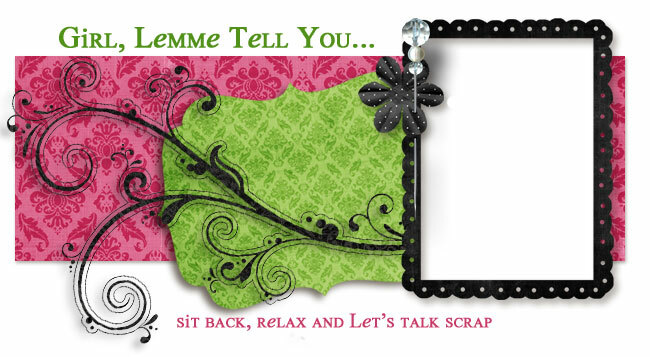 I embossed the pre-made chipboard embellishments with Neutral Ultra Shimmer embossing to add a little bling. 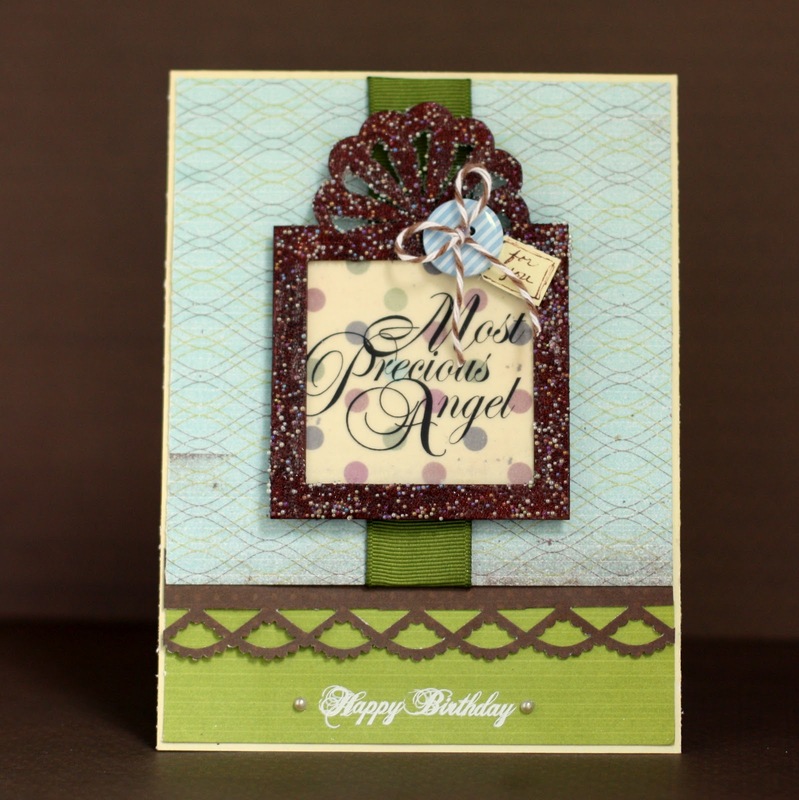 I used the postage stamp from the set to create my own patterned paper strips using Earth tone Honey and Cotton Candy. I changed the color of the chipboard alpha by first embossing them with Ebony powder. Once cooled, I re-inked and then embossed with Black Glint embossing glitter. Tanisha here with yet another project featuring Just Because. I used one of the vellum quotes from the Itty Bitty Box (Babies/Family) and a present from the Birthday Gift 8x10 Chipboard set to create a beautiful embellishment that makes this card pop! I inked the chipboard piece with Marachino Cherry PowderPuff Chalking Ink, then coated it with glossy accents and micro beads and allowed to dry. I adhered the vellum quote to JB200 and then adhered it behind the present. I finished off the present with a button, twine, and a tiny tag. Here's a close up of the present. Thanks for stopping by... I hope you have enjoyed all of the inspiration posted thus far! !